Premium - Click here to view charges. Regular Account - Click here to view charges. 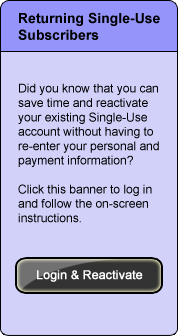 Single-Use Account - Click here to view charges. Limited-Use Account - Click here to view charges. Click the "Next" button below to begin setting up your new account.